One of the things we have chosen to teach our kids, and most definitely as they were small, is that responding with love is always the best answer. People are hurting so much and every single person you meet can use a smile ... and probably a hug. Now that they are older I love to watch them see one of us upset or hurt and their first thought is ... how about a hug. Makes me heart happy. In a world with so much going on I lean into this quote more and more. 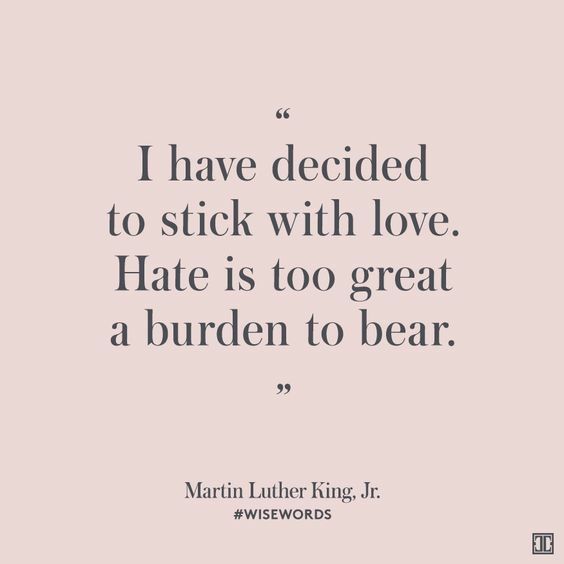 Hate is such a horrible burden and Love is always the right answer.